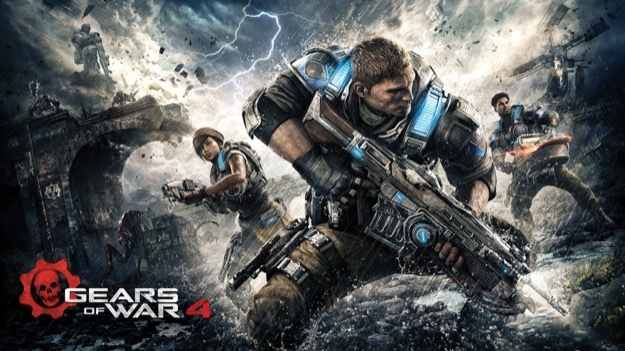 Xbox’s Larry “Major Nelson” Hyrb posted the first trailer for Gears Of War 4 this morning. 25 years have passed since the events of Gears Of War 3, and the world has been at peace. Until now. A new threat, the Swarm, have emerged and ruined everything. Marcus Fenix’s son, JD – and his friends Del and Kait – are thrust into the fight. It looks like old man Marcus will be in the fight as well, but for how long is unclear. We see him in the clutches of a gigantic Swarm creature, but his fate is kept a mystery, at least during this trailer. He’s one of the most iconic Xbox characters, so losing him in battle would be quite a surprise. The tagline for Gears Of War 4 is “Never Fight Alone”, so we’re expecting an emphasis on co-op as well as all the classic online player-versus-player modes. Gears Of War 4 is a full-blown "Xbox Play Anywhere" title, featuring cross-platform play on both Xbox One and Windows 10. The trailer is billed as a gameplay trailer, but doesn’t seem to feature too much direct gameplay footage. That’s not saying what we see isn’t impressive. Graphically, it looks great. Assuming the cinematic material is in-engine footage, it’s impressive indeed. In addition to the relentless gunplay (Lancer Assault Rifles, anyone? ), we also see some wicked motorcycle action. We also catch a glimpse of some tough-looking mechs, which, if playable, would represent a huge change of gameplay style for the Gears franchise. Gears Of War 4 officially launches on October 11, but players who purchase the Ultimate Edition will get to play four days early, on October 7. The Ultimate Edition will set you back $99.99 and includes the Season Pass and the Elite Gear pack for use in online battle modes. Are you interested in a Gears title without Cliffy B involved? Is playing four days early tempting enough to shell out for the Ultimate Edition? Let us know how geared up you are in the comments below. Beardyman, Ryan, The Creator and 3 others like this.